On December 10, 2015, Prime Minister Nawaz Sharif announced the nomination of Nawab Sanaullah Zehri for the post of Chief Minister Balochistan and on December 23, 2015, he was elected in the Balochistan Assembly unanimously. 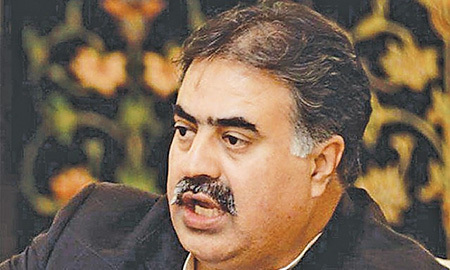 Although a meeting of all important stakeholders under the Murree accord took place that was presided by the Prime Minister himself before it was decided to put Nawab Sanaullah Zehri in the said position, it is not clear if any internal party meetings of the PML-N took place for the purpose of selecting the new Chief Minister of Balochistan. 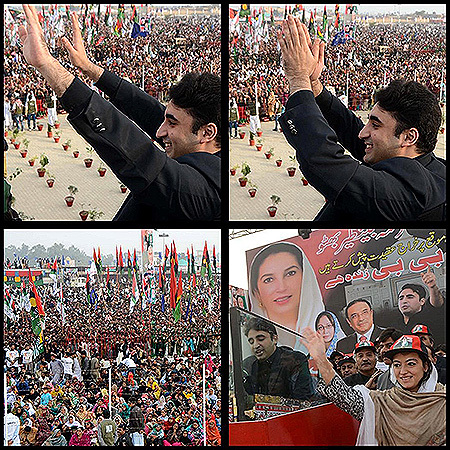 On December 27, 2015, PPP Chairman Mr. Bilawal Bhutto-Zardari stepped ahead in his growing political career and presided over a meeting of the PPP’s Central Executive Committee (CEC) that took place at Naudero House, Sindh, in the absence of his father, the Co-chairman of the party, who is still in Dubai since June 2015. Technicalities aside, PPPP has all along been de-facto PPP; it was created when it was not possible to contest election from the platform of PPP during General Musharraf’s rule. PPPP had outlived its utility and the right approach will be to merge the two parties into one unified PPP. The current state is rather confusing both for general public and party workers in which Bilawal is the chairman of PPP with Asif Zardari its co-Chair. In addition Asif Zardari is President of PPPP from whose platform all its MNAs, MPAs and Senators were elected. A founding member and former Information Secretary of the party, Mr. Akbar S. Babar, had filed a petition back in November 2014 with the Election Commission of Pakistan and alleged corruption and violation of laws in collection of donations and managing party funds by party leadership. On April 1, 2015, a full bench of ECP, headed by Chief Election Commissioner (CEC) Justice (Retd) Sardar Raza Khan, ordered PTI to submit all the details of its foreign funding by May 6, 2015.9 Instead of sharing all details of foreign funding, PTI questioned the constitutional jurisdiction of the ECP to hear a case regarding the party’s financial matters and scan its documents in this regard. On October 8, 2015, the ECP rejected this plea of PTI10 saying that it had complete authority to look into the financial documents of PTI and quoted the Political Parties Order, 2002 and Political Parties Rules, 2002 saying: “…If the statement could not be scrutinised at the time of submission, the law does not prohibit that the same cannot be done subsequently. The commission does never surrender its powers as there is no estoppel in law and such jurisdiction can be assumed any time.” According to Mr. Akbar S. Babar, he had provided evidence with his petition that PTI and its leadership has acted in utter violation of Articles 3, 5, 6, and 13 of the Political Parties Order, 2002 read with Rules 4, 5, 6 of the Political Parties Rules, 2002. 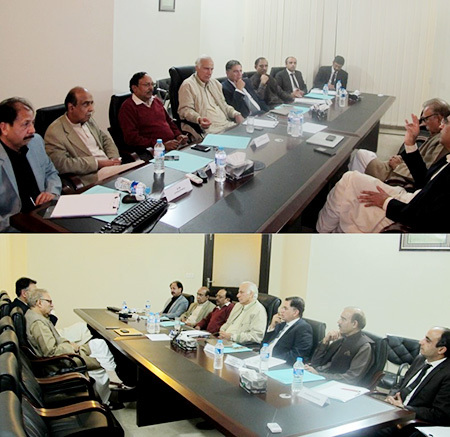 A meeting of the central leadership of PTI took place on December 7, 2015 in Islamabad after which it was announced by the Chairman Mr. Imran Khan that PTI would be holding intra-party elections soon and members of the party would be able to elect their representatives directly. 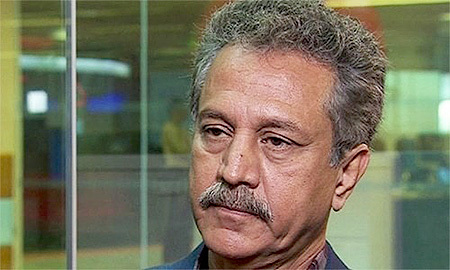 A seven-member committee was also formed during the meeting headed by Dr. Arif Alvi, PTI Organiser for Sindh that will be holding consultations with the PTI Election Commission, headed by PTI Chief Election Commissioner Mr. Tasneem Noorani, for organising the elections and deciding a final date.